Trade Caravan (1) ($0.00) Price History from major stores - Homelands - MTGPrice.com Values for Ebay, Amazon and hobby stores! Card Text: At the beginning of your upkeep, put a currency counter on Trade Caravan. 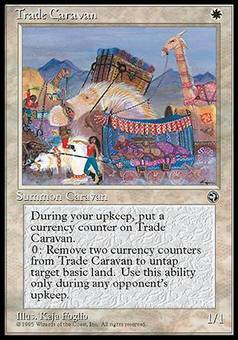 Remove two currency counters from Trade Caravan: Untap target basic land. 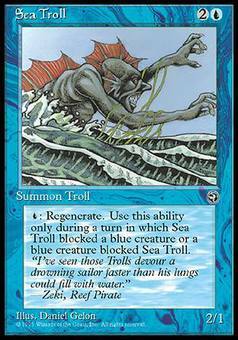 Activate this ability only during an opponent's upkeep.